Have Pets Made Luxury Hotels Go to the Dogs? Luxury hotels are known for formality and pomp, but the new breed of luxury hospitality has led many to adopt in-house pets as part of their guest experience. Today, many luxury travelers no longer want the formal service traditionally offered by high-end hotels. Instead, they want a relaxing, personal experience and an emotional connection to the hotel. 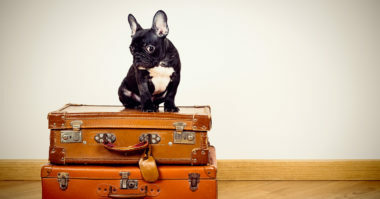 To meet this new need, some luxury hotels are opening their doors to on-site pets as a way to personally connect and create an emotional bond with guests, which far exceeds the usual offerings that hotels typically use to attract customers. And now hotels with in-house pets say the animals are working wonders for sales, brand awareness, hotel marketing success, and customer loyalty. TheGlobeandMail.com shared more on how these hotel pets are elevating the guest experience in a very unique way, which is what today’s luxury travelers ultimately look for. These pets are proving to be popular with guests all over the world. In fact, many have expressed that the main reason they choose a hotel is because of its on-site pets. Hotels report that dozens of pictures of pets are taken by guests each day and then posted on Facebook and Instagram, which provide a steady stream of free publicity and awareness for the hotel. And the Fairmont in Arizona saw its J.D. Power rating rise a whopping 11 points over the past year and they believe that their dogs were a major factor. One of the first luxury hotels to launch a pet program was the Fairmont Hotels & Resorts Inc. chain in 2001. The brand slowly added pets to many of its properties in the United States, Canada, and Kenya and has steadily increased its number of pets due to their enormous popularity and value. Fairmont’s pets happily greet every guest as they enter the lobby and make them feel at home. But Fairmont isn’t the only luxury hotel brand making pets part of the guest experience. At the Ritz-Carlton Hotel Co. resort in Colorado, guests are greeted by the hotel’s two canine ambassadors. One is a Saint Bernard named Bachelor and the other is a Bernese Mountain Dog known as Belle. While these hotels have only introduced house pets recently, The Algonquin Hotel in New York City has had cats for nearly 90 years, ever a since a stray made himself at home on the property. Now, the hotel’s main feline ambassador is named Matilda and she’s so popular with guests that she has almost 10,000 Facebook friends and more than 1,000 Instagram followers. Matilda’s popularity has led the New York hotel to offer a special “Friends Of Matilda” package that features a welcome letter from the cat, a fun book on feline health and beauty, and a plush doll resembling the beloved cat. While it isn’t inexpensive for hotels to have pets considering their veterinary, grooming, feeding, and daily care costs, the payoff is priceless in terms of the value they provide and the benefits they bring to the luxury hotel experience. Stay current on hospitality marketing news. Contact MDG Advertising.